Thanks to the little birdy that dropped this in my inbox! What caught my eyes? A better description of the mission set. Riverine, small boat, recon and limited scope raids? Sounds a bit like an enhanced Boat Co. on float. I don't know what "battle shaping" is so I'll just set that aside for a minute. This give much needed clarity to 2RAR (Amphib) mission. Its also a bit curious. I don't mean to be critical, just factual. Look around the Pacific. Check out the other Marine Corps in the region. S. Korea, Indonesia, China, the Philippines and even Japan are all going for heavier, mechanized Marine Corps. To state it plainly, it looks like the Aussies are building a force that looks more like the Royal Marines than it does the USMC. Evolution will occur and watching the Aussie Army get its sea legs will be fascinating. I wonder though. If they're this constrained on men and material can they afford to try and split the difference? 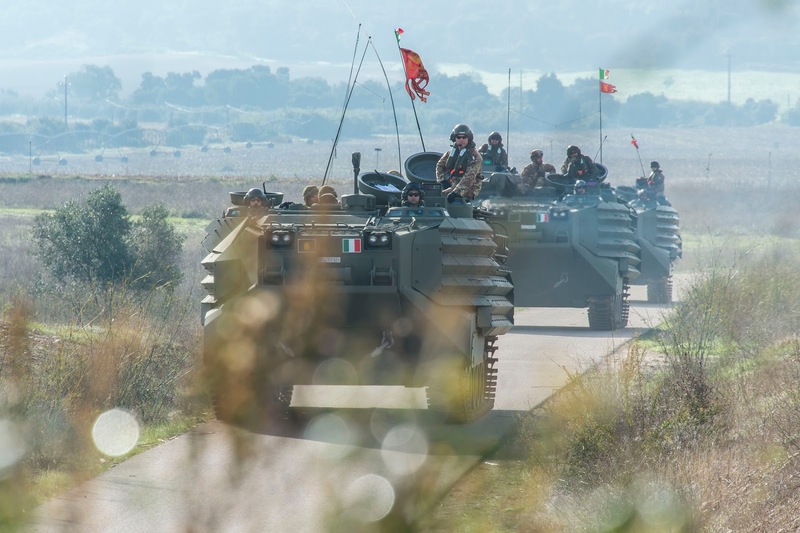 The only force I'm aware of that has successfully fielded an Amphibious Army in the modern era is the Italians with the Lagunari. 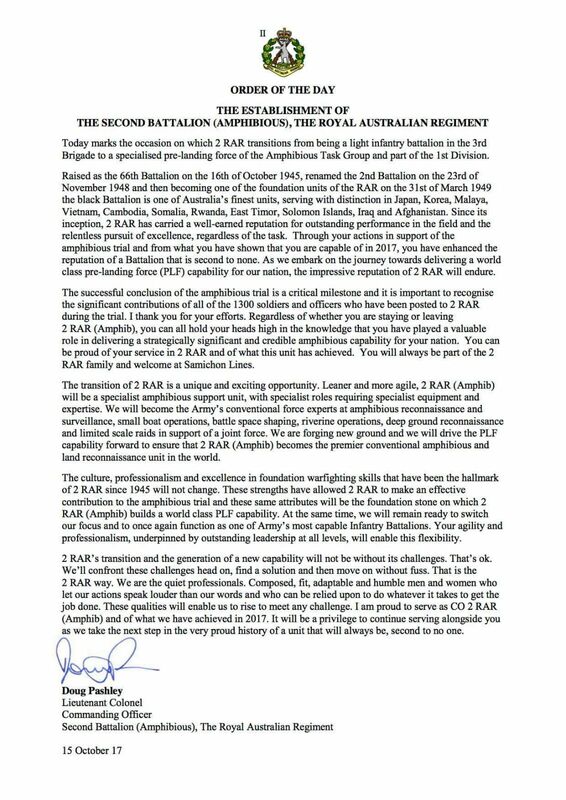 If I was to make a bet on where the Aussie Army will go in the future it will be to somewhat mirror the Lagunari in a smaller package with the 2RAR (Amphib). Oh and that includes eventually buying amphibious assault vehicles. Land 900?